GALLIPOLIS — Floyd Wright, President of AFSCME Retiree Subchapter 102 of Gallia and Jackson Counties, was re-elected to a fourth term on September 19 as the recording secretary of the State Executive Board of the Ohio AFSCME Retiree Chapter 1184 at their biennial convention held in Canton. Wright has served on the state executive board since March, 2013. Wright also serves on the state executive board of AFSCME Ohio Council 8 as a retiree representative. Wright was presented the Harvey Hill service award at the 2014 convention. Wright also served as the 17th District Committeeman of the Democrat State Central Committee from 2009 to 2012. 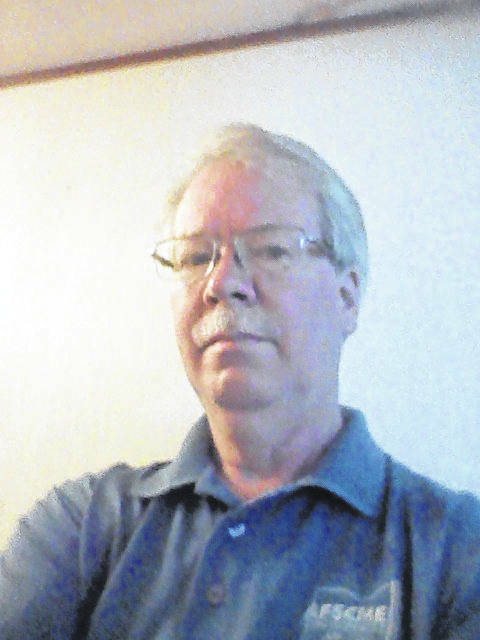 Wright, past president of AFSCME Local 1316, retired from the City of Gallipolis in 2011 with nearly 32 years service at the Water Treatment Plant. Ohio AFSCME Retirees is made up of public employee retirees and their spouses who were members of AFSCME (Ohio Council 8, OCSEA, and OAPSE). The senior advocate group meets at 2 p.m. the third Friday of each month at the Gallia County Senior Resource Center, 1165 State Route 160, Gallipolis. Interested retirees, call: 740-245-0093 or 740-245-5255 for more information. Contact person : Floyd Wright, 740-245-0093.